Through a series of confidential meetings with the Conciliation Commission in Copenhagen this past week, Timor-Leste and Australia have reached agreement on the central elements of a maritime boundary delimitation between them in the Timor Sea. The Parties’ agreement constitutes a package and, in addition to boundaries, addresses the legal status of the Greater Sunrise gas field, the establishment of a Special Regime for Greater Sunrise, a pathway to the development of the resource, and the sharing of the resulting revenue. These meetings are part of a structured dialogue in the context of the conciliation between the Democratic Republic of Timor-Leste (“Timor-Leste”) and the Commonwealth of Australia (“Australia”) being conducted by a Conciliation Commission (the “Commission”) pursuant to the UN Convention on the Law of the Sea and under the auspices of the Permanent Court of Arbitration (the “PCA”). The Parties and the Commission will now turn to formalizing the Parties’ agreement and to addressing a number of remaining issues and points of detail. Until all issues are resolved, the details of the Parties’ agreement will remain confidential. Nevertheless, the Parties agree that the agreement reached on 30 August 2017 marks a significant milestone in relations between them and in the historic friendship between the peoples of Timor-Leste and Australia. I thank the Commission for its resolve and skill in bringing the Parties together, through a long and at times difficult process, to help us achieve our dream of full sovereignty and to finally settle our maritime boundaries with Australia. This is an historic agreement and marks the beginning of a new era in Timor-Leste’s friendship with Australia. This agreement was made possible because of the strength and leadership of the father of our nation, the Chief Negotiator, Xanana Gusmão, who worked with the Commission and Australia to secure the political and economic sovereignty of our nation and secure the future of our people. With our joint success at resolving our dispute through this conciliation process, Timor-Leste and Australia hope to have set a positive example for the international community at large. This is a landmark day in the relationship between Timor-Leste and Australia. This agreement, which supports the national interest of both our nations, further strengthens the long-standing and deep ties between our Governments and our people. I thank the Commission for its role in bringing the Parties together. I commend the Parties for being able to reach an equitable and balanced solution that benefits both Timor-Leste and Australia. These negotiations have been challenging, and this agreement has only been possible because of the courage and goodwill shown by leaders on both sides. The key moment in these negotiations transpired on the evening of 30 August, and the significance of that date is not lost on the Commission. Both countries will now look back on this date fondly. The Parties will continue to meet with the Commission in order to finalize their agreement in October 2017. At the same time, the Parties will begin to engage with other stakeholders in the Timor Sea regarding the implications of their agreement, in particular with respect to the Greater Sunrise resource. The Commission will continue to conduct its meetings in a confidential setting in order to provide an environment conducive to maintaining and finalizing the agreement reached in Copenhagen this week. Further public statements will be made from time to time. Following its engagement with the Parties in October of this year, the Commission will prepare and issue a report on the proceedings as anticipated by the UN Convention on the Law of the Sea. The Commission was constituted on 25 June 2016 pursuant to the procedure set out in Annex V of the Convention. The five-member Commission is chaired by H.E. Ambassador Peter Taksøe-Jensen (Denmark). The other members of the Commission are Dr. Rosalie Balkin (Australia), Judge Abdul G. Koroma (Sierra Leone), Professor Donald McRae (Canada and New Zealand), and Judge Rüdiger Wolfrum (Germany). With the agreement of the Parties, the Permanent Court of Arbitration acts as Registry in the proceedings. These conciliation proceedings were initiated by Timor-Leste on 11 April 2016 by way of a “Notification Instituting Conciliation under Section 2 of Annex V of UNCLOS” addressed to Australia. On 2 May 2016, Australia submitted “Australia’s Response to the Notice of Conciliation”. On 28 July 2016, the Conciliation Commission held a procedural meeting with the Parties at the Peace Palace in The Hague, the Netherlands. On 29, 30, and 31 August, the Commission convened the Opening Session of the Conciliation and a Hearing on Competence at the Peace Palace in The Hague, the Netherlands. On 19 September 2016, the Commission rendered its Decision on Competence, finding that the Conciliation would continue. From 10 to 13 October 2016, the Commission met with the Parties in Singapore. On 9 January 2017, the Foreign Ministers of Timor-Leste and Australia, together with the Commission, issued a Trilateral Joint Statement on the termination of the Treaty on Certain Maritime Arrangements in the Timor Sea. From 16 to 20 January 2017, the Commission met with the Parties in Singapore. From 27 to 31 March 2017, the Commission met with the Parties in Washington, D.C. From 5 to 9 June 2017, the Commission met with the Parties in Copenhagen. From 24 to 28 July 2017, the Commission met with the Parties in Singapore. 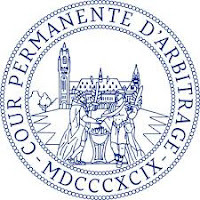 Further information about the case may be found at www.pca-cpa.org/en/cases/132/, including the full text of the Commission’s Decision on Competence, earlier Press Releases, a video recording and transcript of the Opening Session, the presentations of the Parties and previous press releases and Trilateral Joint Statements.